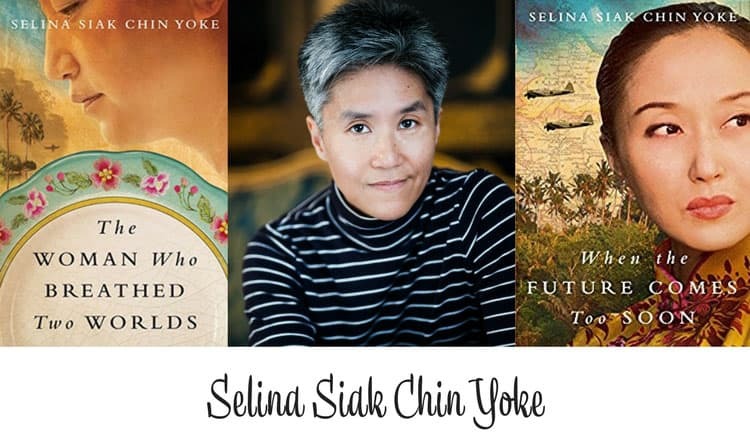 Thank you to Selina Siak Chin Yoke, author and food lover, for sharing how food impacts her memories and became a central character in her writing. 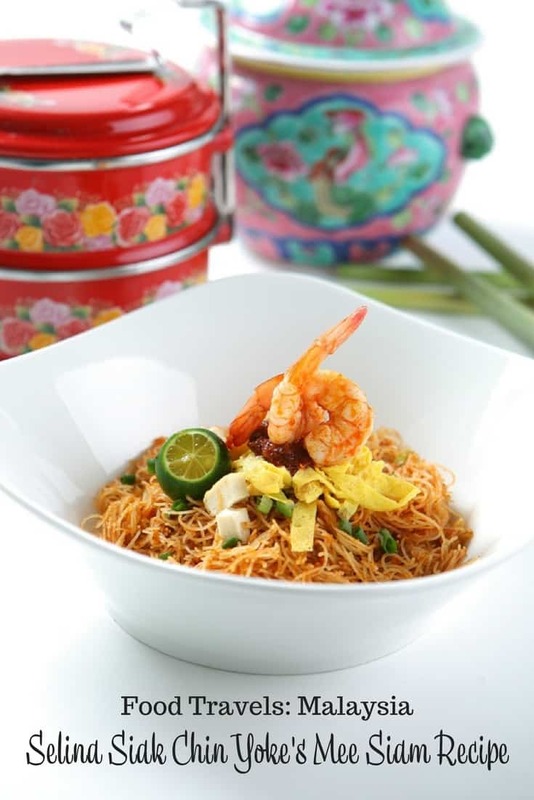 It even includes a recipe for Mee Siam, a spicy Siamese noodle dish! Do you eat to live, or live to eat? Being of Malaysian-Chinese origin, I definitely veer toward the latter. My earliest memories are of family and food: eating under a star-filled sky, the aromatic smells of garlic and lemongrass, and freshly plucked exotic fruit whose juices dribbled down my fingers. We talked a lot about food too, especially around the dining table, where we would muse about what to have for a late-night supper while still munching through dinner. And Malaysian cuisine, in reflecting the diversity of a country with three major races – Malay, Chinese and Indian – meant endless variety in food choices. At the time the kitchen was the domain of women, who were expected to be able to cook. My mother turned out a great cook, but her grandmother was apparently even better – superb, by all accounts. This maternal great grandmother was so formidable that she inspired my debut novel, The Woman who Breathed Two Worlds. Like Great Grandmother, the protagonist is a Nyonya: a female descendant of the Chinese traders who had married Malay women centuries before and whose ancestors spent hundreds of years experimenting with cultural fusion. The community that resulted had a distinctive style of dress, lingo and especially, cuisine. Nyonya food became famous throughout Malaya. Parents even sought out Nyonya wives for their sons, in the hope that their offspring would be well-fed! 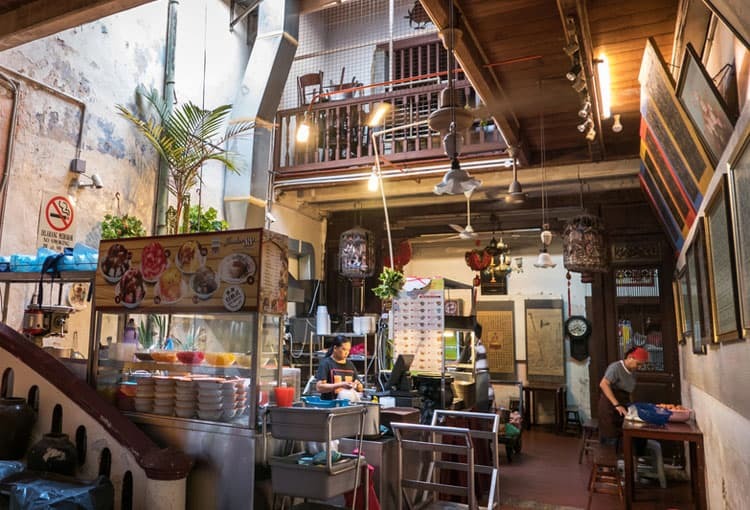 Gradually, in the changing melting pot that was British Malaya, Nyonya culture declined. By the time I was born, little was left of it. I never saw a Nyonya woman when I was growing up; I only heard about the Chinese women who had once dressed in Malay attire and were very fierce. Or perhaps that epithet was reserved for my great grandmother, whose reprimands were said to be as ‘eye-watering’ as her food. Seventy years after her passing, she was still spoken about with awe by those who had met her. 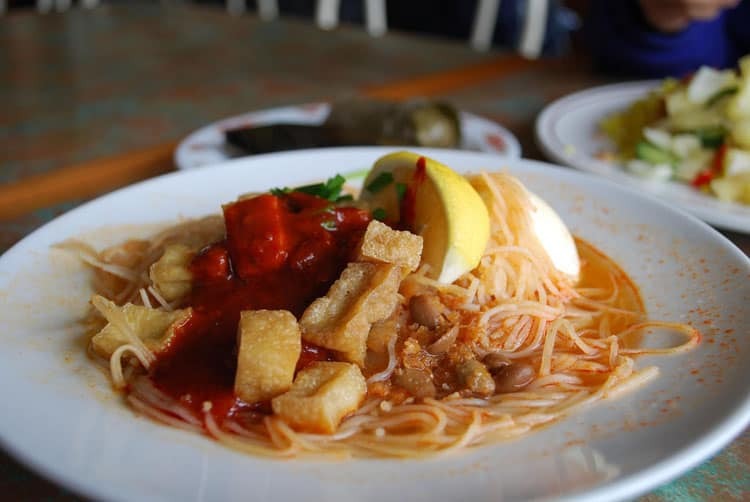 Mee Siam, photo credit: Alpha. These are all Nyonya dishes, though the last may have come from Siam, now Thailand, and was subsequently adopted by the Nyonyas. My great grandmother herself came to Malaya from Siam – traversing virgin jungle on the back of an elephant, which was the mode of transport then. Mee Siam was a special treat in our house; whenever my mother made it, she would tell me more about Great Grandmother. Little did she know how I was lapping up the tales and would use them one day to weave a fictional character. Indeed, the food which the protagonist in my novel makes plays such a central role that food itself becomes another character. This is why I thought of sharing one of my mother’s Nyonya recipes with readers. 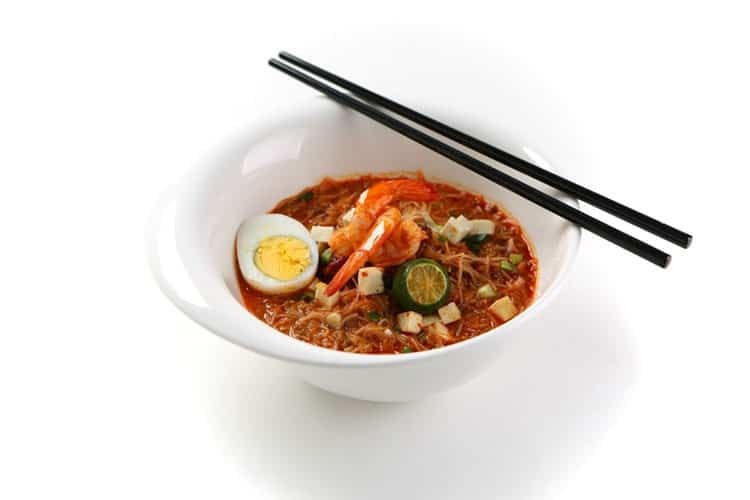 Mee Siam is essentially shrimp with rice noodles, stir-fried in a spicy chilli paste and garnished with hard-boiled eggs. Being a family recipe, the amounts are approximate, so feel free to experiment. My mother would make the chilli paste herself, and then our kitchen would come alive with the smells of chillies and shallots being pounded and later on, of garlic being fried. I would hover, unable to tear myself away from the cocktail of aromas that awakened something in my spirit. My hope is that as you make this dish in your own kitchen, you will feel a sense of kinship with the women who invented this delight! Heat wok, add 2 tablespoons of cooking oil and garlic and fry until brown. Add the yellow bean paste and shrimps and stir evenly. Bring the ingredients to one side of the wok and add another 2 tablespoons of cooking oil into the middle of the wok. 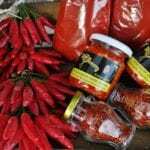 Slowly, on low heat, add the chilli paste and stir evenly until aromatic and the oil separates, making sure not to burn the paste. Add the bean sprouts and chives. Mix well; if necessary, add a little more oil. Finally, add the soaked vermicelli and stir fry until the ingredients are cooked and well blended. If desired, add soy sauce. Garnish with the eggs, red chilli and fried bean curd. Thank you so much, Selina, I want to make this today! I’m glad I’m not the only one thinking about their next meal while still eating the current one! Of Malaysian-Chinese heritage, Selina Siak Chin Yoke grew up listening to family stories and ancient legends. She always knew that one day, she would write. After an eclectic life as a physicist, banker and trader in London, the heavens intervened. In 2009 Chin Yoke was diagnosed with cancer. While recovering, she decided not to delay her dream of writing any longer. Her first novel, “The Woman who Breathed Two Worlds” (The Malayan Series, #1), was published in 2016 and made an immediate emotional connection with readers. It debuted as an Amazon bestseller in historical fiction, was named by Goodreads as one of the six best books in the month of its release and has been favorably compared to the work of Pearl S. Buck and Amy Tan. “When the Future Comes Too Soon” is her latest novel. How about you? Do you have a fond memory associated with food? Please share it! 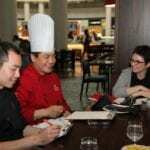 @Linda, hope you enjoy it, great meals make life tastier! I am like you, I live to eat! I really love a good recipe, and although I’ve never tried Mee Siam, after reading this I definitely want to; although I may have to make it a little less spicy, lol! I’d love to get this book, too! @Alaina, I hear you on the spicness, my hubby can’t handle it, so I have to easy on it as well. I have always loved the smell of garlic and lemongrass cooking. Food always seems to taste better when I can eat outside. Malaysian cuisine has always been a favorite of mine. I will have to get the ingredients I need to make some Mee Siam this weekend. @Ann, I didn’t know much about Malaysian food until I went there on a business trip and wow, what a discovery! @Lisa, I hope you enjoy the book, I live to eat as well! What an interesting history! I come from a very boring background. My Mom had very sever allergies so we ate very bland, plain food. My husbands Mom is German, so I have learned a lot about the German culture through her cooking. I think it is so interesting to learn the concepts behind a dish and the women or people who cook them! This is a fabulous post and I can’t wait to try this dish for my kids! @Jennifer, I am so glad you enjoyed it. I had a boyfriend in college who’s family was from Germany and I still dream about warm potato salad with vinegar – yum! A book that revolves around food sounds like perfection! Food has always inspired me, as well…and is a part of so many childhood memories. My favorite food memory from childhood involves a fancy restaurant that served the biggest pile of linguini. The fact that I was given my own dish of fresh parmesan cheese made it even better for a kid! Mee Siam sounds like a treat, indeed! @Kristi, what a WONDERFUL memory! I live life through food and all the associated memories as well, just can’t help it! This book sounds like one I must add to my must read list. I agree, food is something that always bring memories and good times. This is why I enjoy cooking and backing. This recipe looks like something I need to try. My husband would really enjoy it I think. @Censie, I love food related books, the only problem being that I usually want to hop on a plane and go eat after I am done! @Katie, I’m so glad you enjoyed it, I really can’t wait to read the books myself, they are on my Kindle ready to go! This is fascinating and a really well done post. I have never eaten Malaysian cuisine. I would like to sample some of the food you described here though. I love that you know all this about your ancestors and in particular the women in your family. It is empowering. Vermicelli is one of my favourite noodles. I will make this some day soon. @Paula, even if you don’t get to visit Malaysia, you’ll learn a lot from the book plus if you try the recipe, you’ll be that much closer! 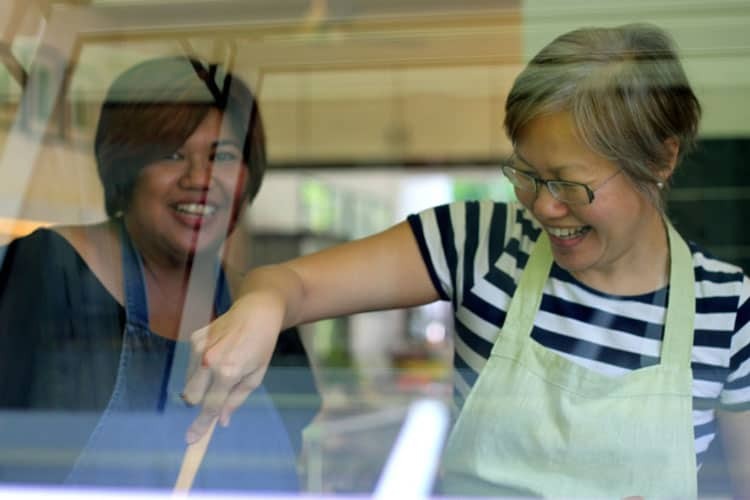 Fierce women who also cook – perfect combo! This reminds me of my nonna who was such a strong woman and an amazing cook. She really set the tone for all us granddaughters! @Lisa, have a fesity cook in the family is a true treasure! I absolutely love hearing these types of stories. Passing down recipes from generation to generation. Telling the stories about the history of the dishes and the special ingredients. I hope the book helps keep the stories alive for generations to come. @Sue, it’s my favorite kind of read. I love historical fiction, but add food? Wowza! @Angela, truly a mystery of life! The food here looks amazing. 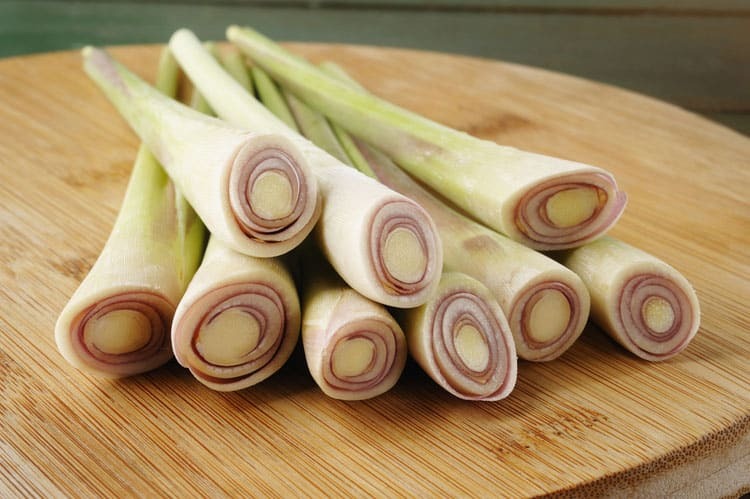 And It’s always interesting to know the cultural context behind some of your favorite dishes. 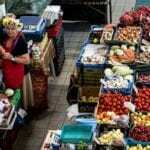 That’s so great how its all a blending of cultures that leads to the amazing dishes that we have today. @David, this is absolutely my favorite kind of read, combining my two loves! @Jasmine, you are NOT alone, I am totally addicted to food! I love Asian inspired food. I am trying to be a better cook and cook with love. I love using new spices, new foodie international items and things that not only taste good but is good for you! @Kiwi, what a wonderful philosophy! I hope to do the same. I would love to try this recipe and read her books. @Annalisa, I hope you get a chance to! An inspiring post featuring a desirable novel and recipe. I love trying new recipes, especially spicy ones. I only have red bean paste but otherwise all the ingredients except bean sprouts. I will try it with the paste I have. My family meals were bland – meat, potatoes and veg, so after I became vegetarian (40 years ago) I taught myself to cook what I wanted to eat. My favourite food memory is the first time I had Ethiopian food. It was at a diner that had changed owners and served many types of food over the years. I was alone and told the server this was a new experience for me. She was helpful and made me feel comfortable eating with my hands and using the bread under all the food as my utensil. I have had Ethiopian food since then but this initiation was my favourite. @Paula, what a WONDERFUL memory, I would have loved to share in that experience. I love Ethiopian food. Great stuff. I want to try more ethnic foods.